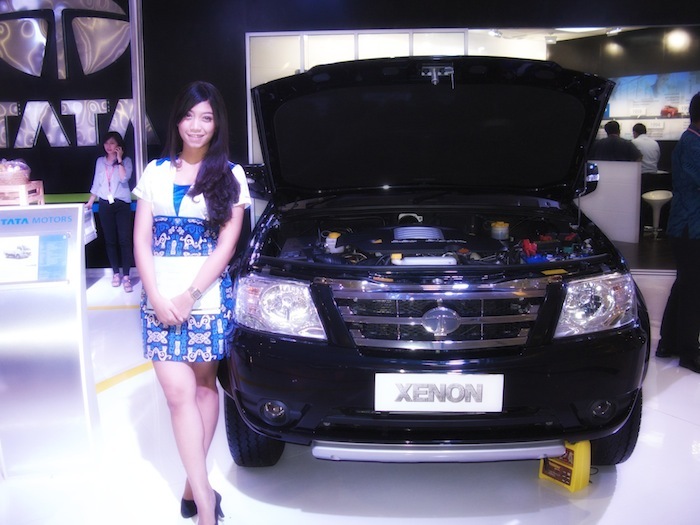 Tata Motors Booth at IIMS 2012 Jakarta. Tata Motor is a car brand from India. 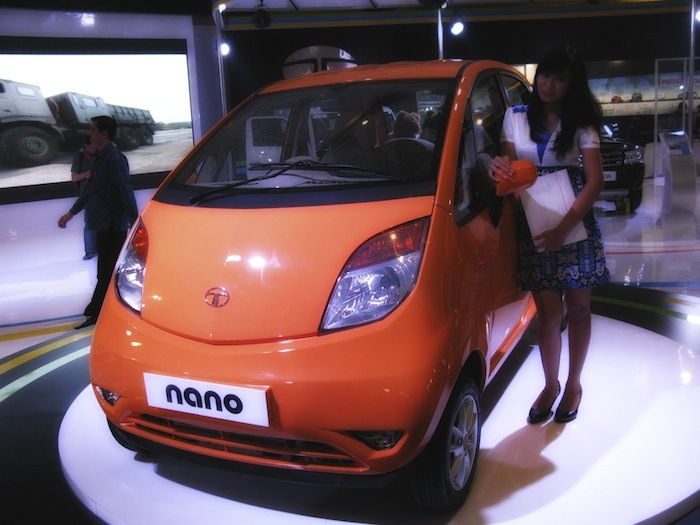 One of their product is Tata Nano which is a small city car with only 2 cylinders machine 624cc. Even Sport Bike Motorcycle Kawasaki Ninja 650cc has bigger machine than this car. This is the cheapest car in the world with price around USD 1,800. 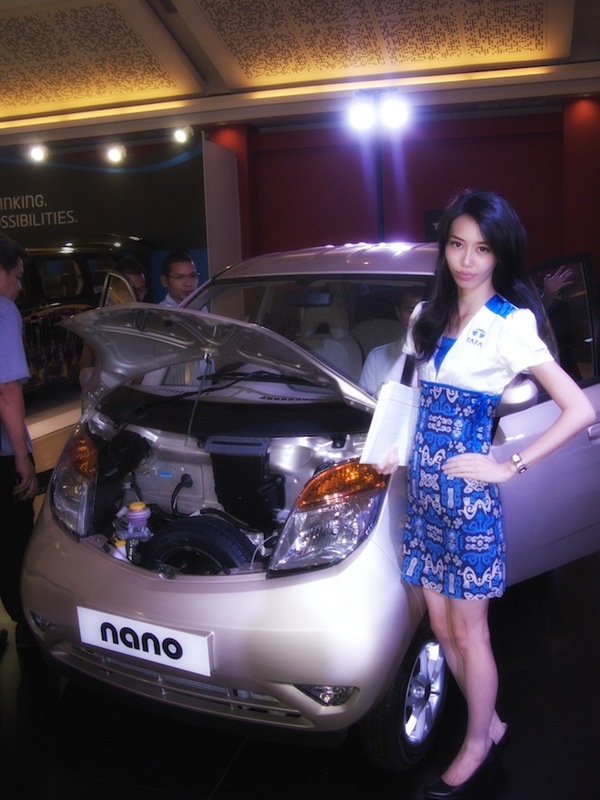 However, this car is not sold in Indonesia yet. They will launch it at January 2013. Do you interest to buy? bahkan India sudah ikutan ya Mas…. India ikutan. Tapi Malaysia ga ikutan. Proton ga muncul. Infonya waktu pameran Januari 2013 launching di Indonesia. Mobil kecil cocok ya buat perkotaan.